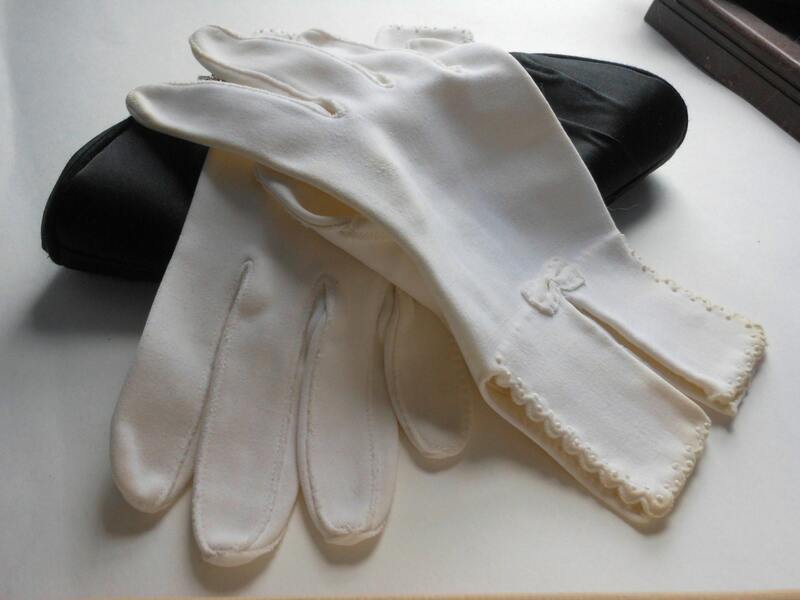 Van Raalte gloves white unusual uncut salesmen samples or straight from factory floor, bow and scalloped edges. 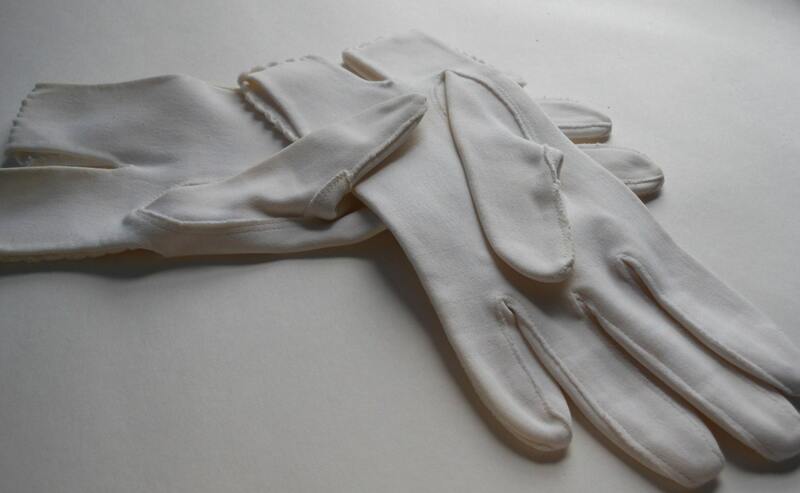 Van Raalte gloves white unusual uncut salesmen samples or straight from factory floor, bow and scalloped edges.. “VAN RAALTE: Because You Love Nice Things" These gloves were totally uncut. I opened one of them but left the other to show how they came. 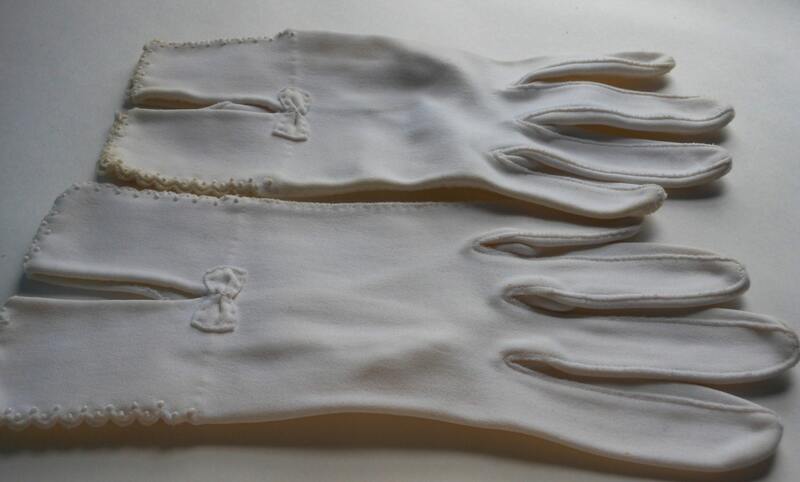 There are a few small areas that the fabric has rubbed a bit, not really noticeable without close inspection, and there is some yellowing. They are marked 7 but they are a small one. My hand barely fit inside. 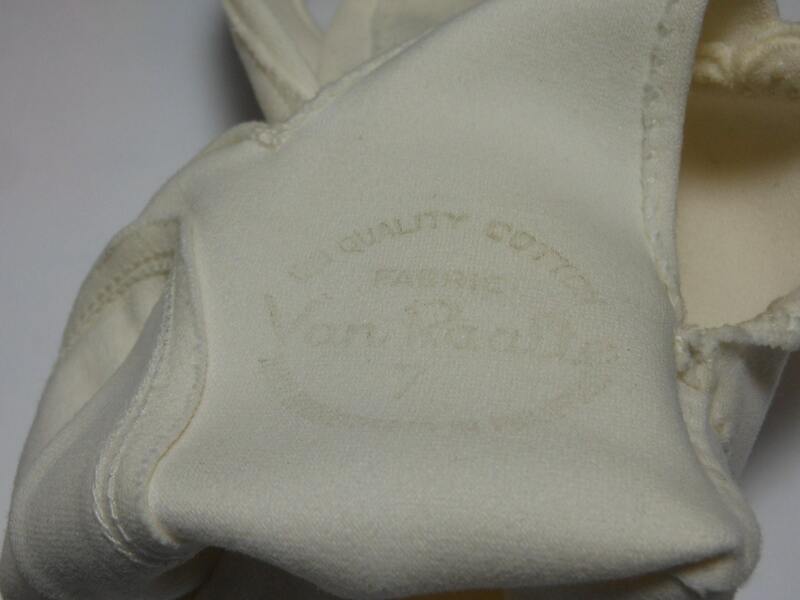 The Van Raalte company originated around 1913 they were originally a silk veiling and net company but in the 1920s they began to sell silk jersey cloth, gloves, underwear, and hosiery. 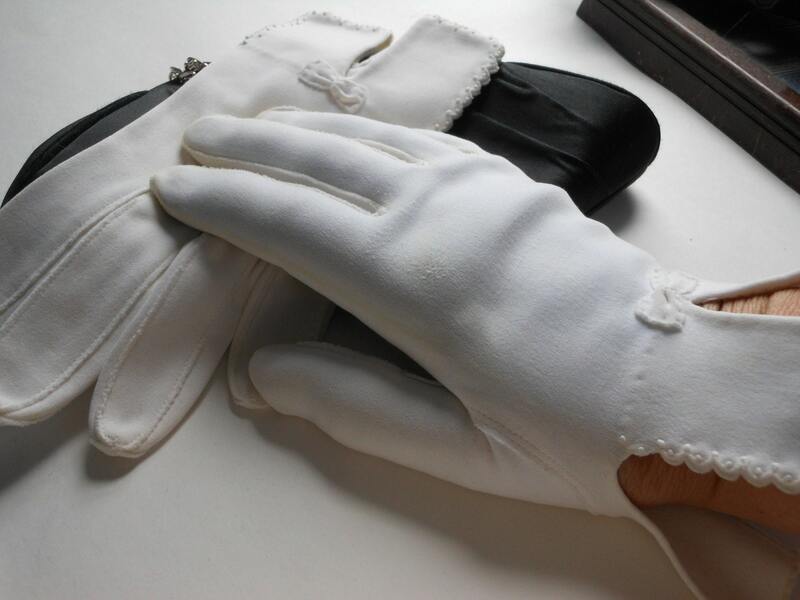 The company sold its products through upscale department stores and were known for their high level of quality. Their company slogan was “VAN RAALTE: Because You Love Nice Things”.